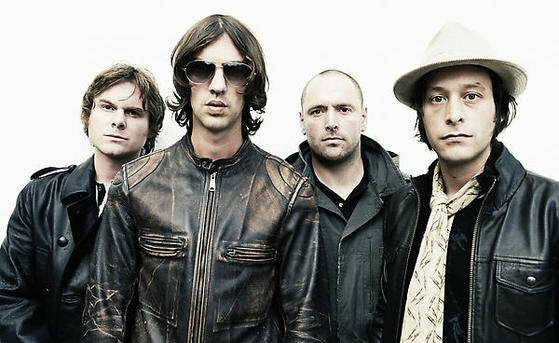 • RESURGENT Britpoppers The Verve have released a new single, the self-produced Rather Be. The track, taken from the group’s number one album Forth, is an epic slice of the group’s trademark guitar work. • In-demand DJ Deadmau5, real name Joel Zimmerman, is set to release a hand-picked selection of unreleased tracks from his first record label. The ten-track compilation of Canadian label Play Records artists’ old school electro tracks and club classics is titled Deadmau5 At Play, and is released on December 15. • Talented new UK singer songwriter Andy J Gallagher has released his debut single Something Else. Available on the Crocodiles And Prostitutes EP, the track is a teaser for his debut album Helicopter Dolphine Submarine which is out next year. • Hard rockers Shinedown release their debut single, the riproaring Devour, on December 8. The group, who have risen to prominance supporting Disturbed, plan to attack the charts with their first LP The Sound Of Madness, early next year. • The Irrepressibles, an invention of singer songwriter Jamie McDermott, release a CD and DVD package of their eclectic sonic art on December 8. Mixing influences from jazz to samba to baroque, the experimental sound of From The Circus To The Sea is described as “like nothing heard before”. • Hot new artist Chilli Gold is hoping to pepper the charts with her new single, Out Of My Mind. The track, a piano–driven epic, hits stores on December 8. • Malian legend Issa Bagayogo releases his latest album, Mali Koura, on December 8. A fusion of western African and European cultures, the album is one of the most unlikely dancefloor successes of the year. • Croydon upstarts The Tunics release a new single, the raucous Cost Of Living, on December 8. The energetic indie rock track, the group’s debut release, is sure to appeal to fans of Arctic Monkeys and The Wombats.